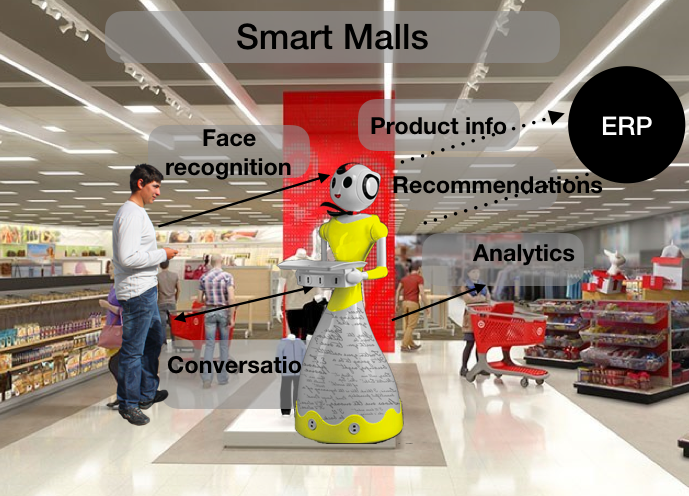 Retail tech acceptance by customers defined in the scale of - Comfortable, creepy and unbothered - Invento Robotics: Robots for customer engagement. Customer is the king. And, knowing what they like or dislike is the most vital thing retailers can do. Here in this study by RichRelevance titled “Creepy or Cool,” the researchers have deciphered how exactly US intrenet users respond to the use of newer technologies. 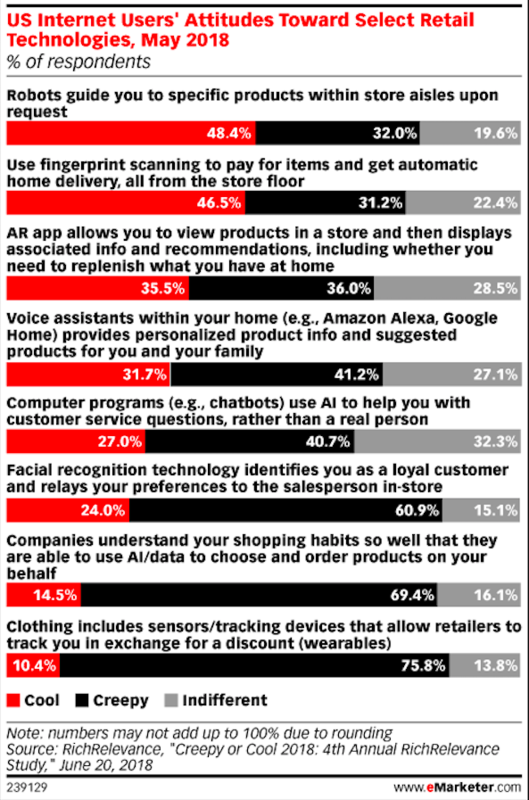 This segmentation answers questions revolving around face recognition and guided shopping which have been subjecr of varied opinions recently.